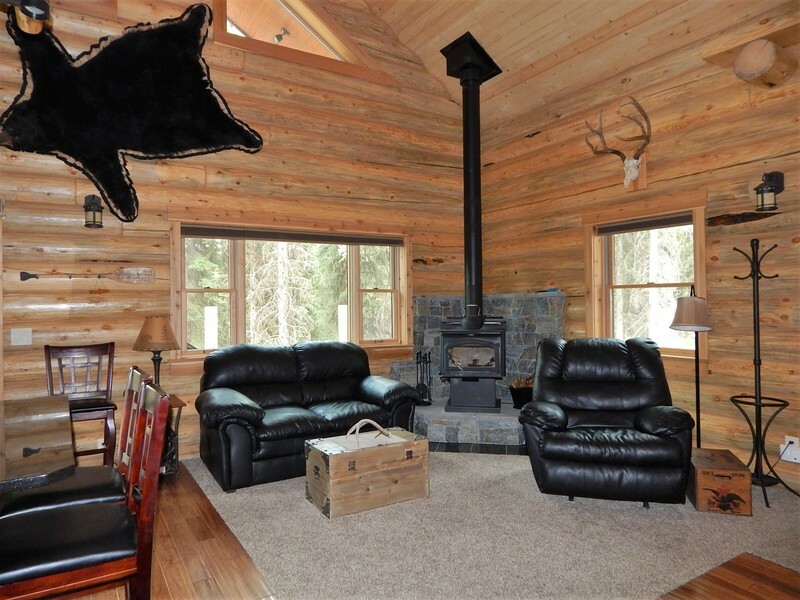 Beautiful, custom log home on over 2.7 acres in Double Arrow Ranch - A Mountain Community! 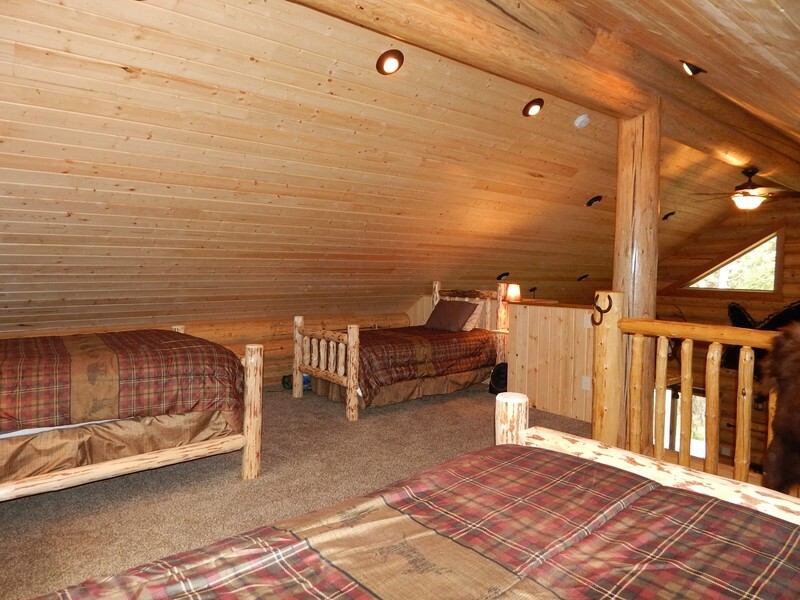 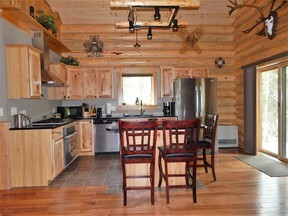 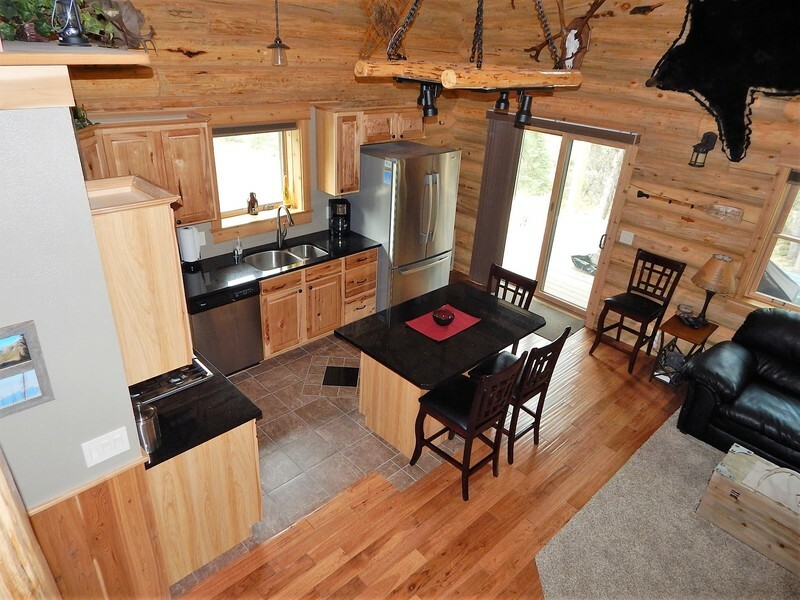 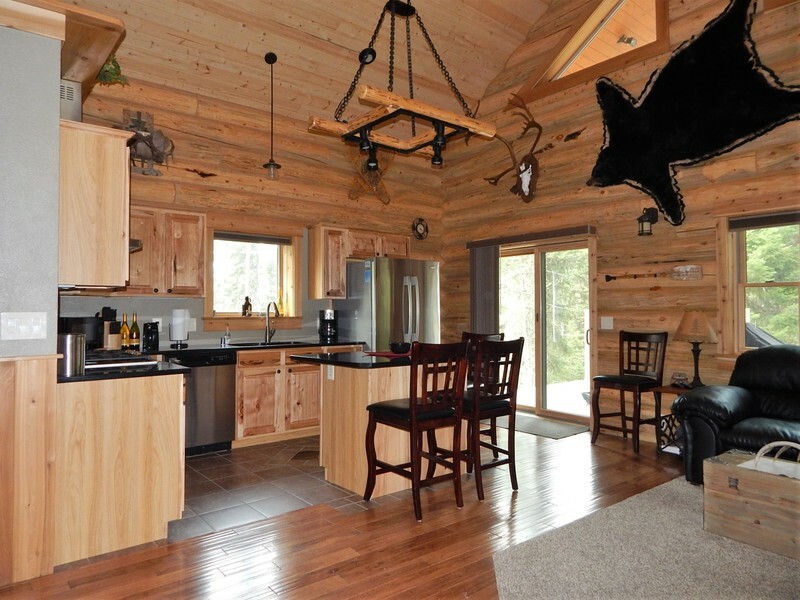 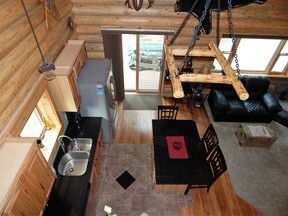 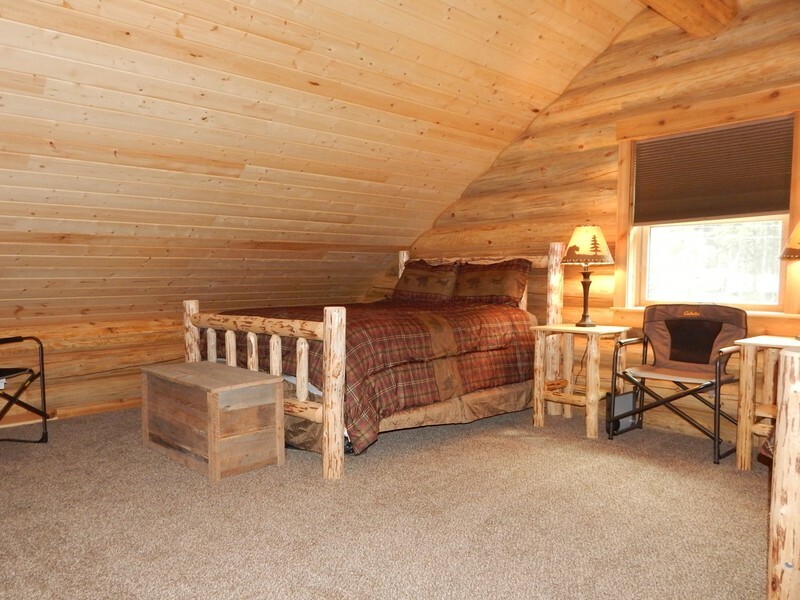 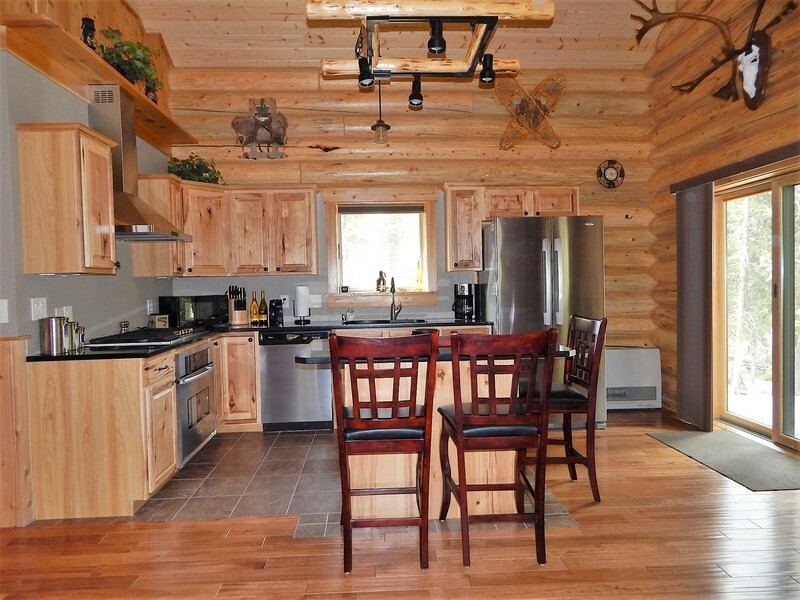 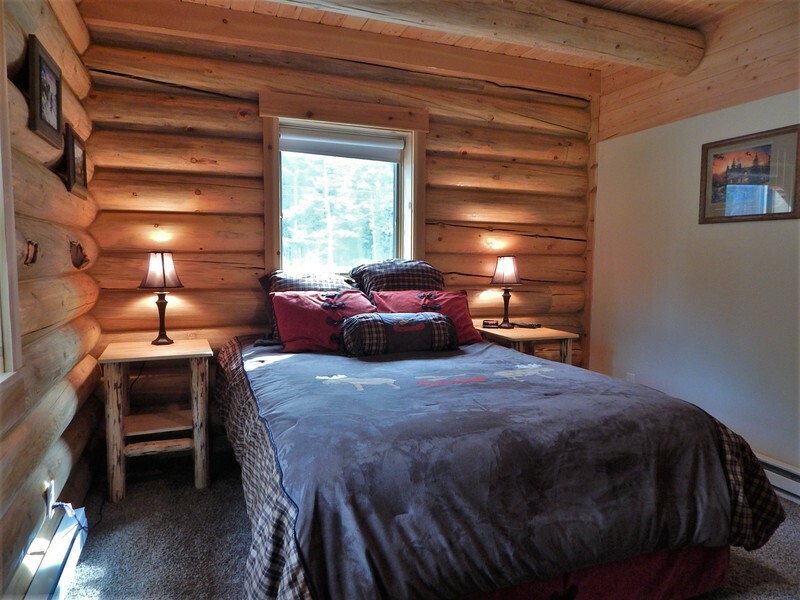 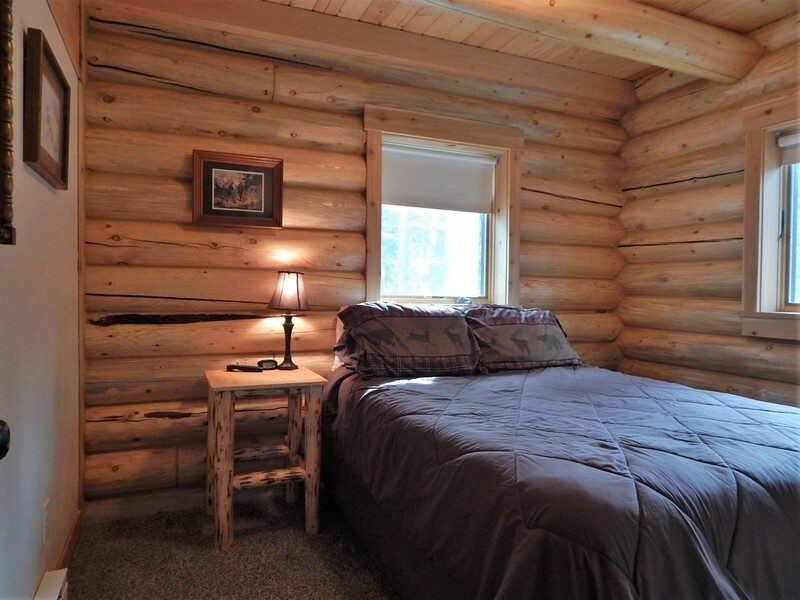 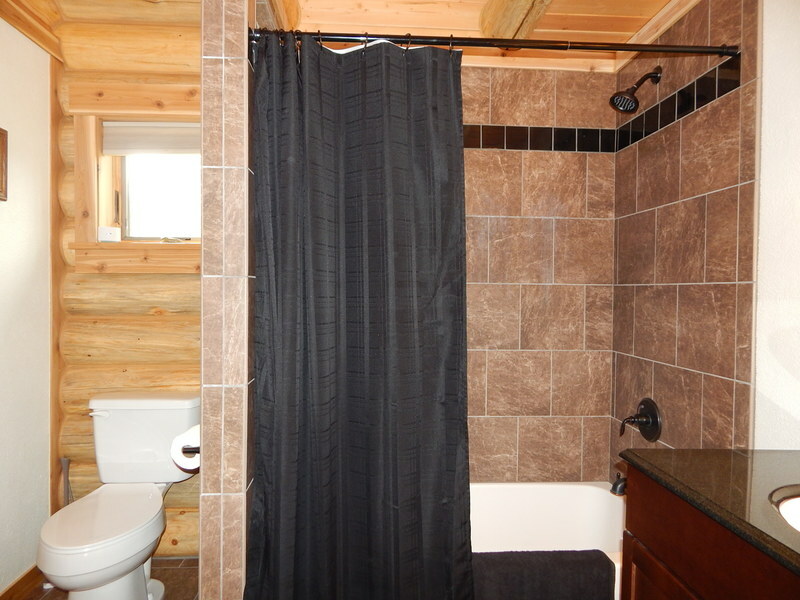 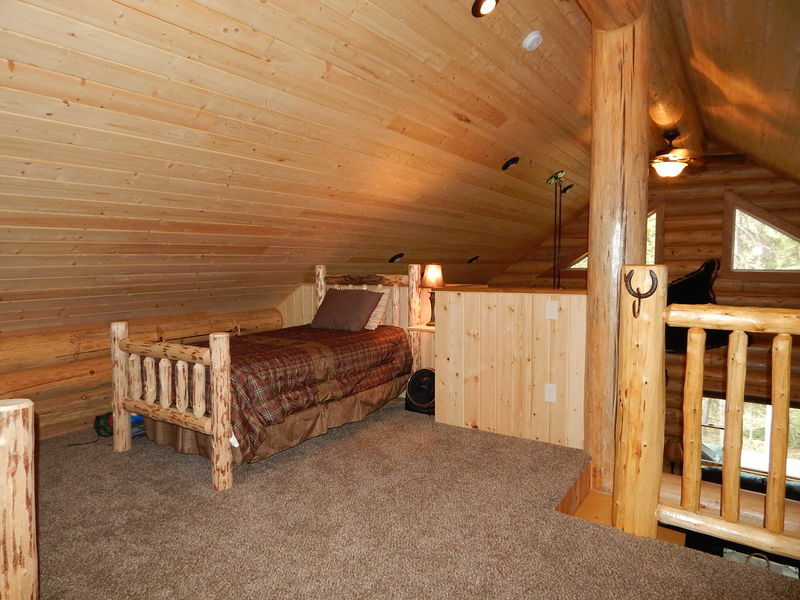 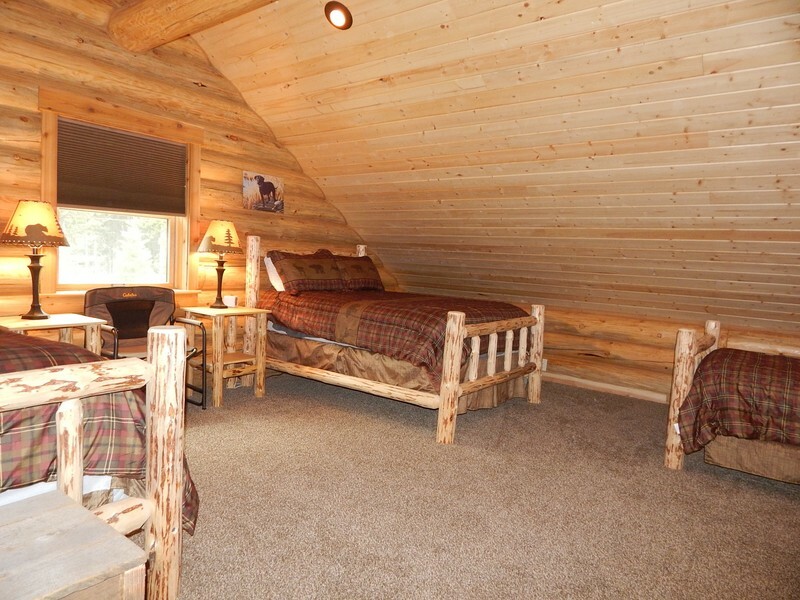 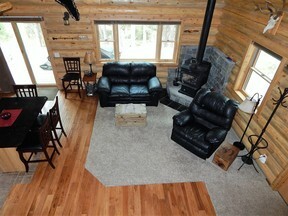 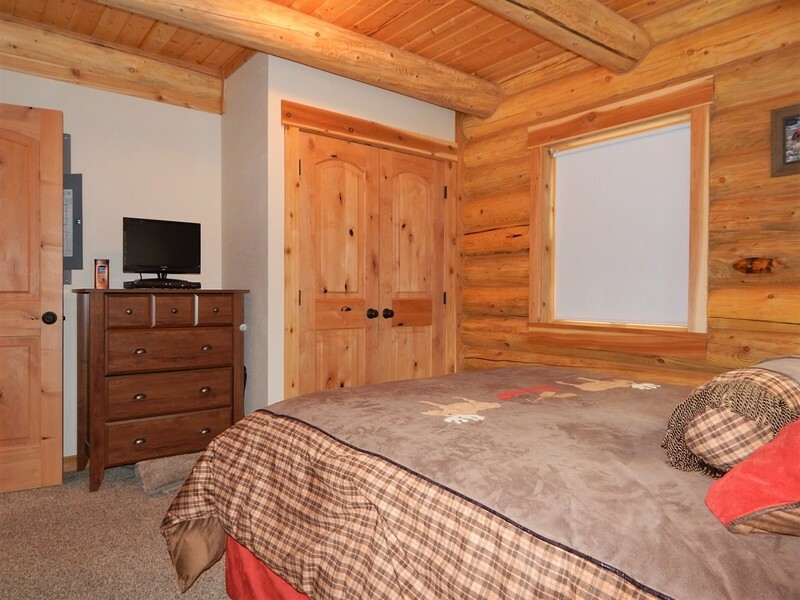 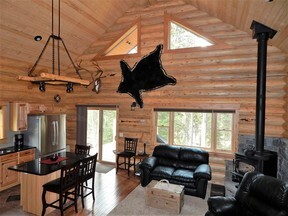 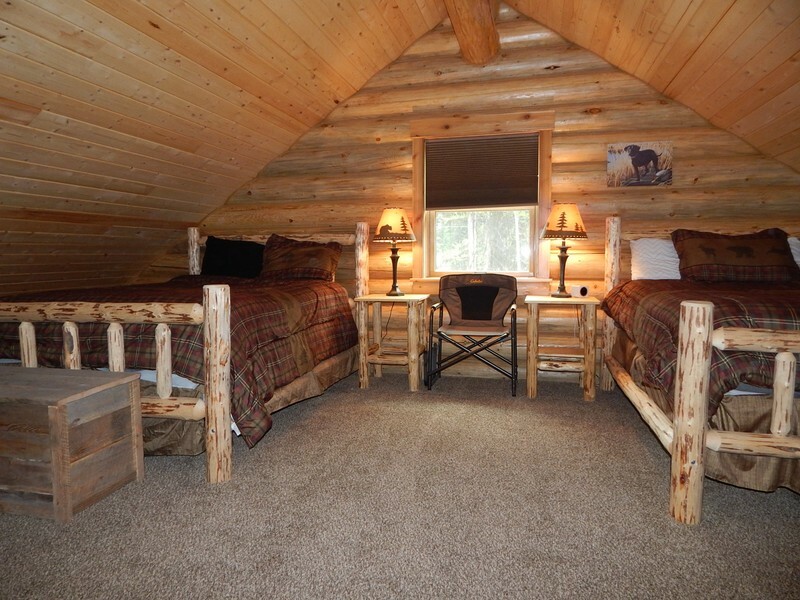 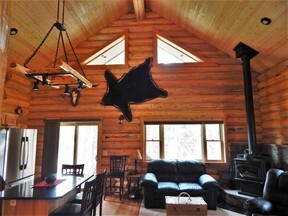 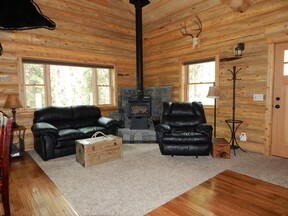 Attention to detail shows throughout this 1200+ square foot, classic cabin. 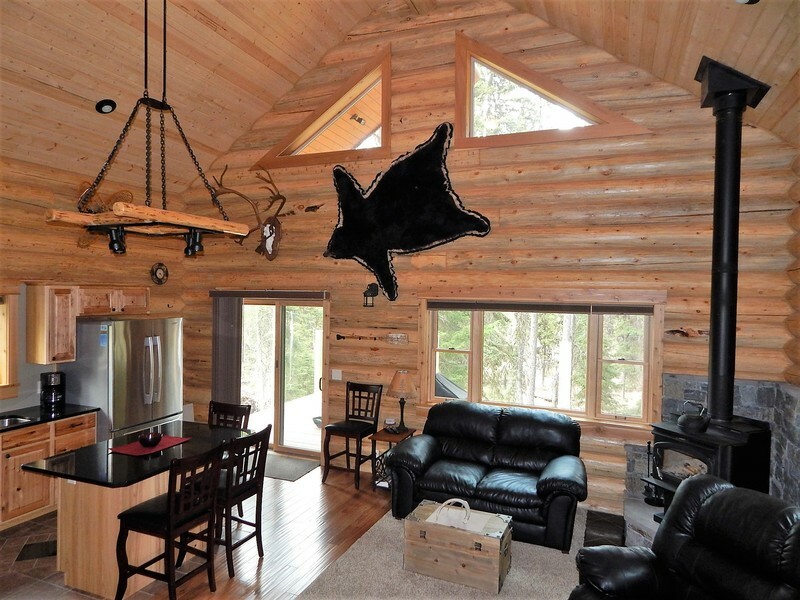 Vaulted ceilings, plentiful windows, log details and tongue-and-groove boards bring the outdoors in. 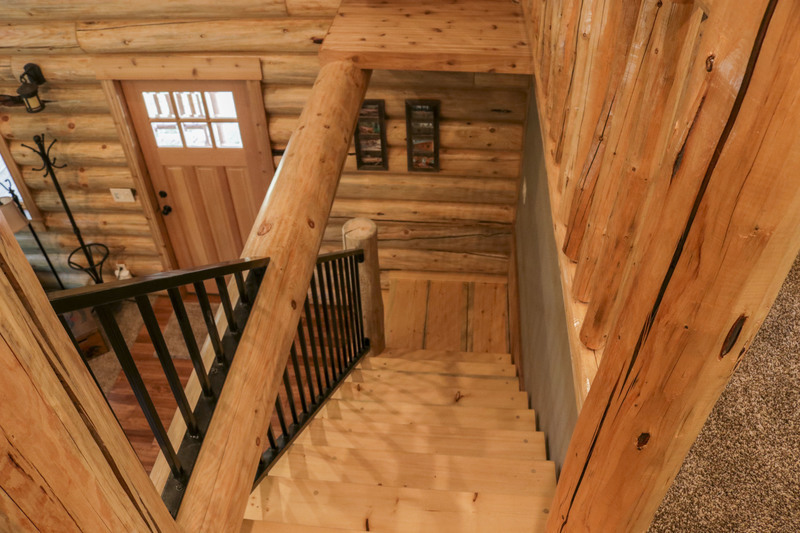 New wrought iron railings have been installed on the open staircase that leads to a large loft. 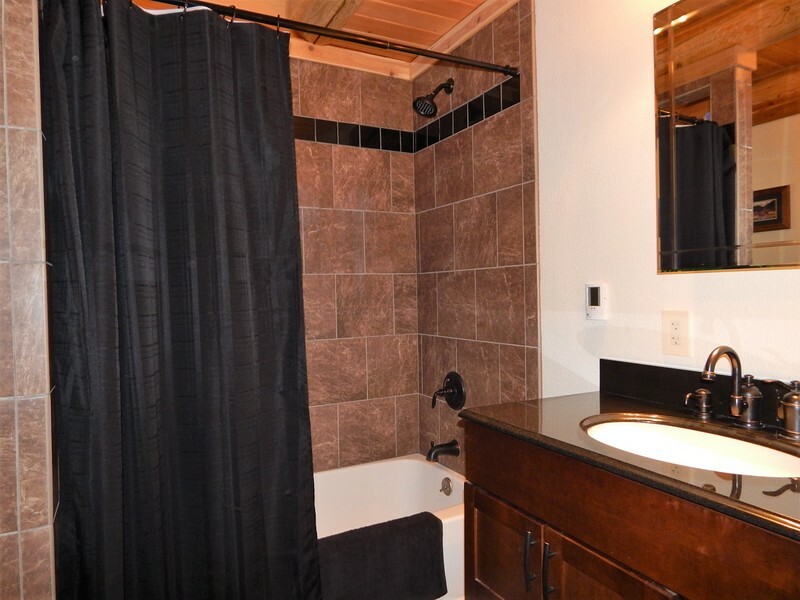 Downstairs are two bedrooms and a full bath, complete with stackable washer & dryer hook-ups. 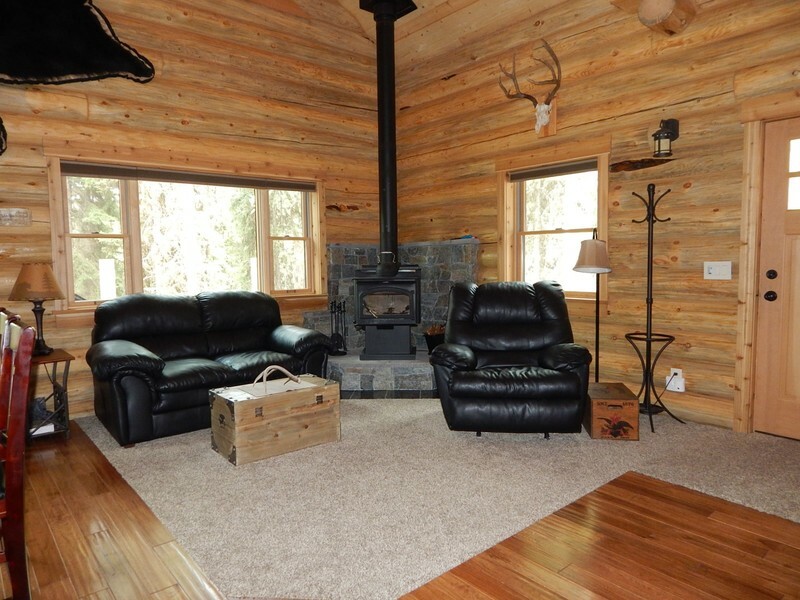 Warm yourself by the wood stove, or choose the convenience of the Rinnai propane heater. 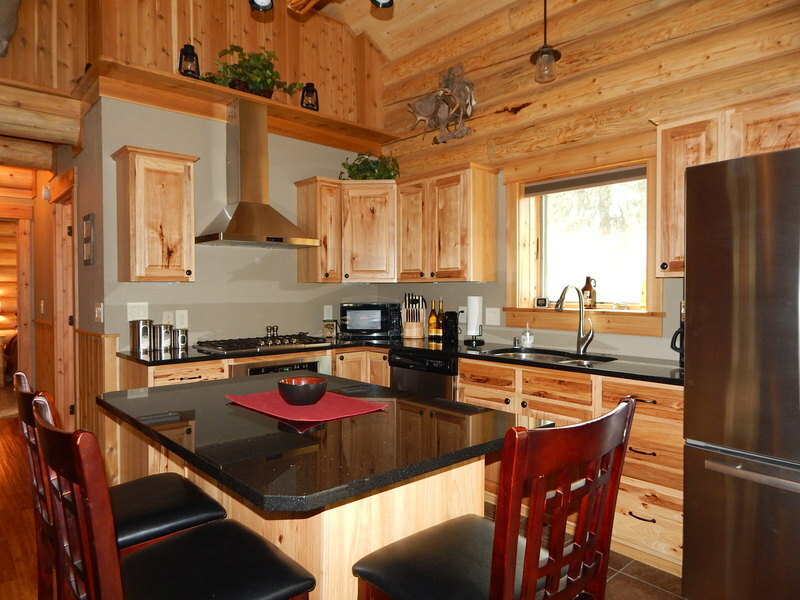 The kitchen features upgraded stainless-steel appliances and an eating bar. 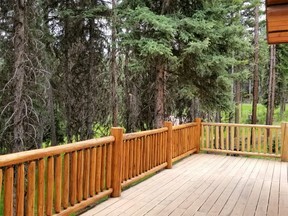 Just a few steps off the kitchen and through the sliding glass door is a private deck. 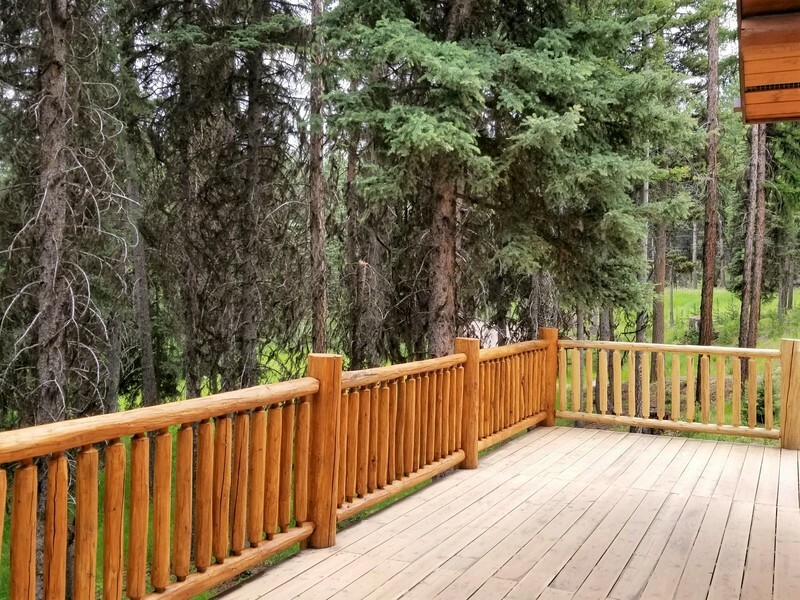 Watch wildlife from this peaceful, open deck with custom log railings. 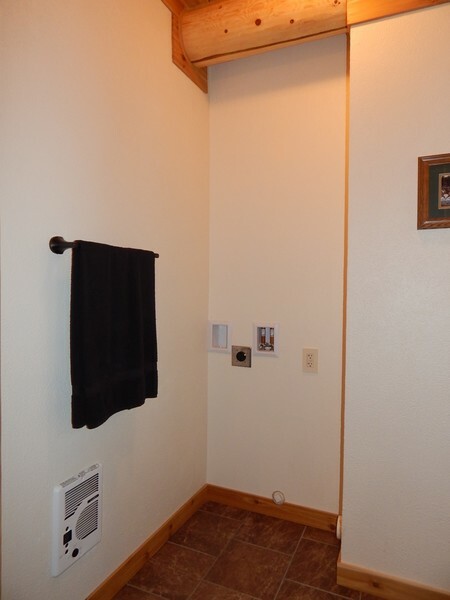 The property backs up to a common area so there's no concern for future development. 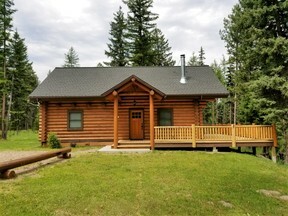 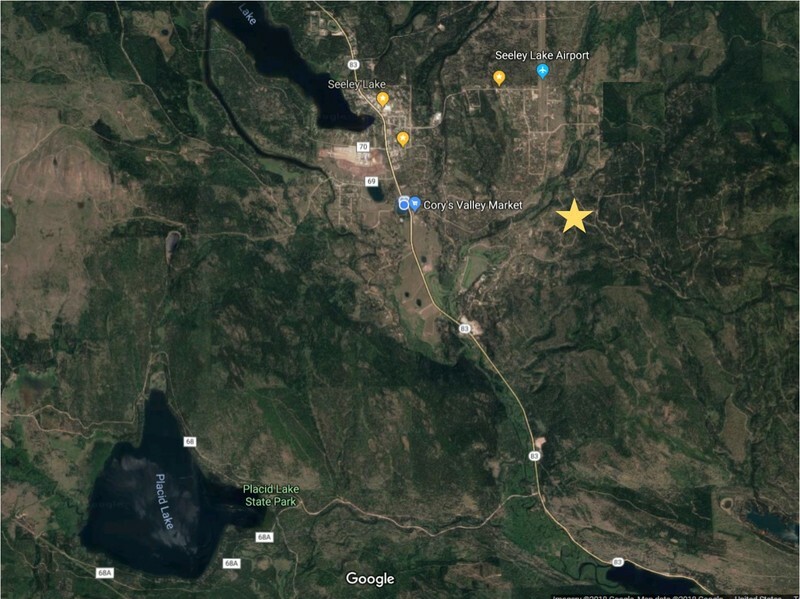 Located just off of paved Double Arrow Road, accessibility is simple. 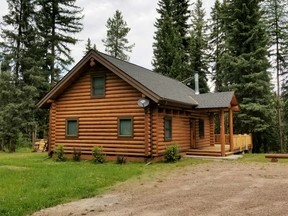 The homeowner's association maintains the roads for year-round access. 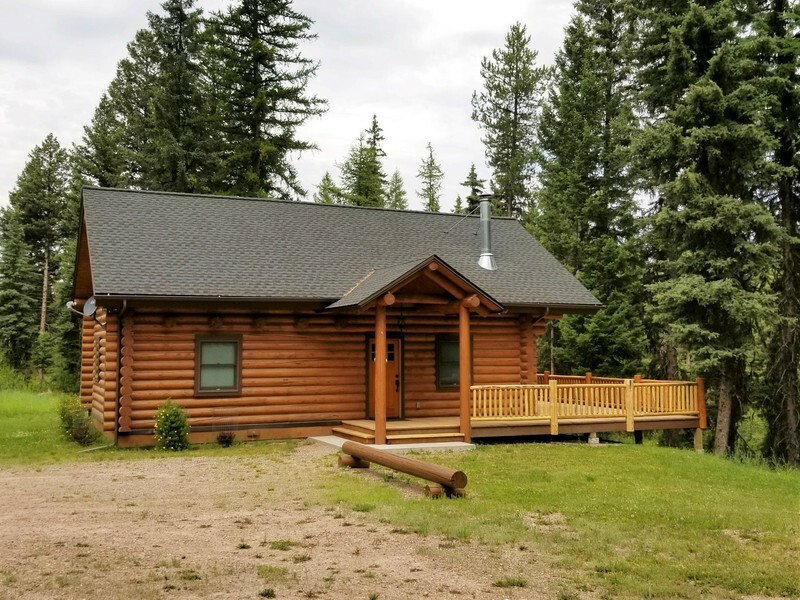 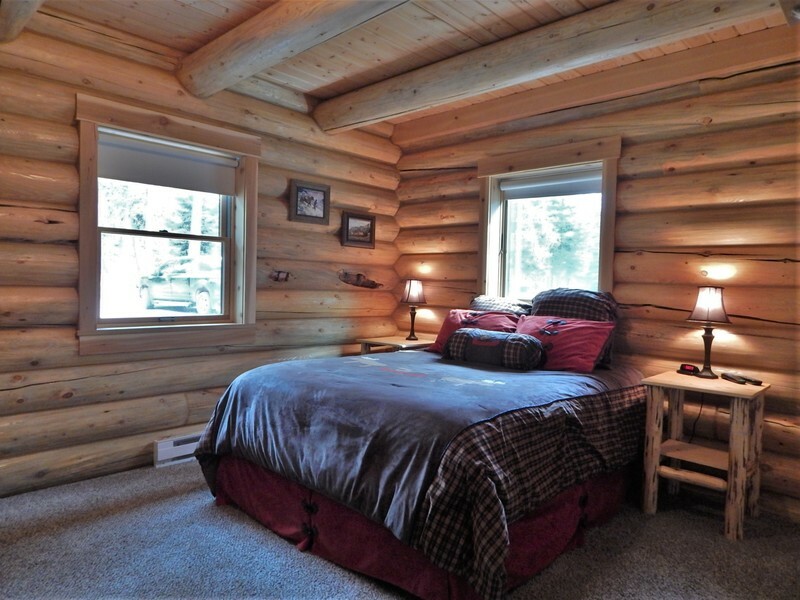 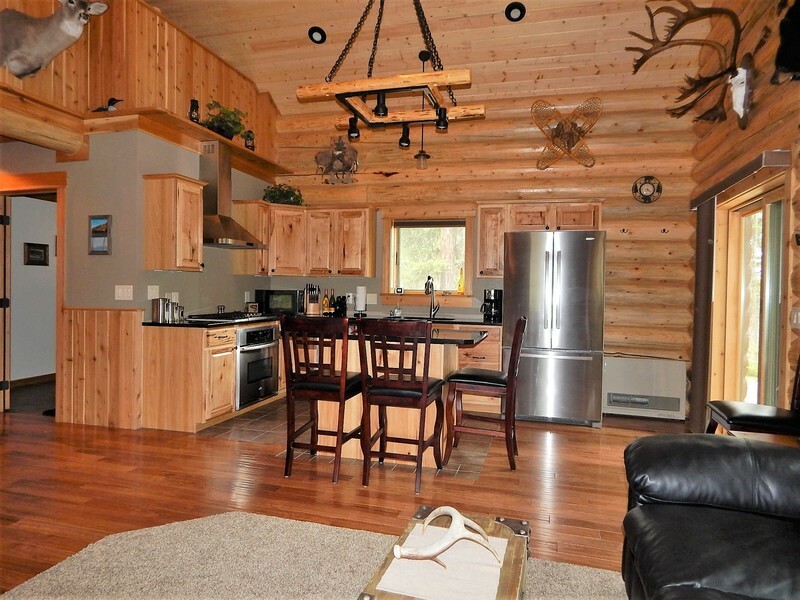 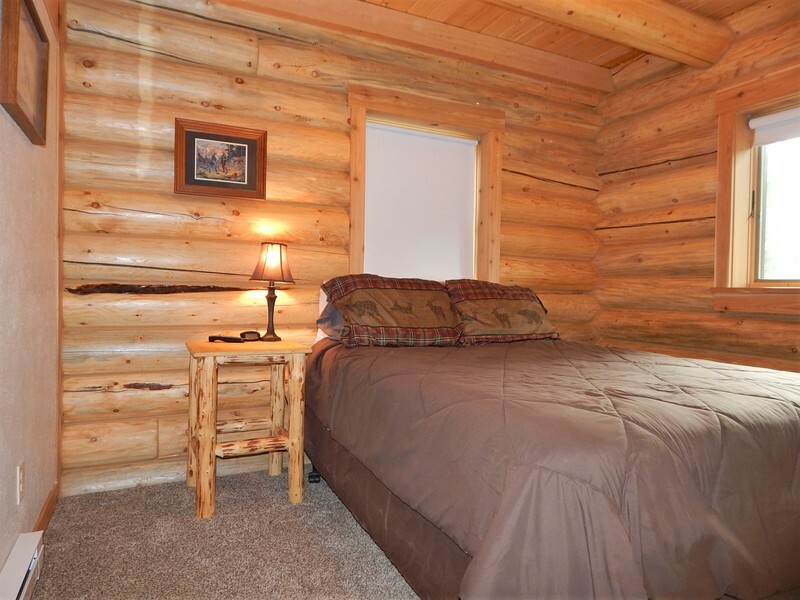 Whether you're looking for a weekend escape or your year-round home, this log cabin will not disappoint! Call Kim at (406) 210-1985.